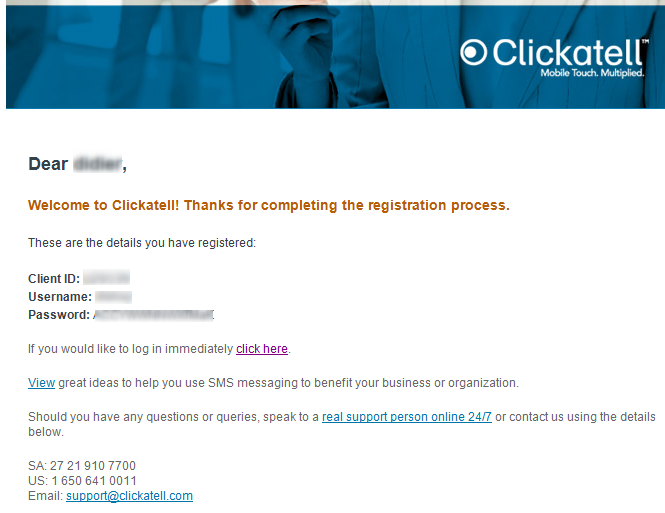 How to configure AirVantage to send SMS with Clickatell? 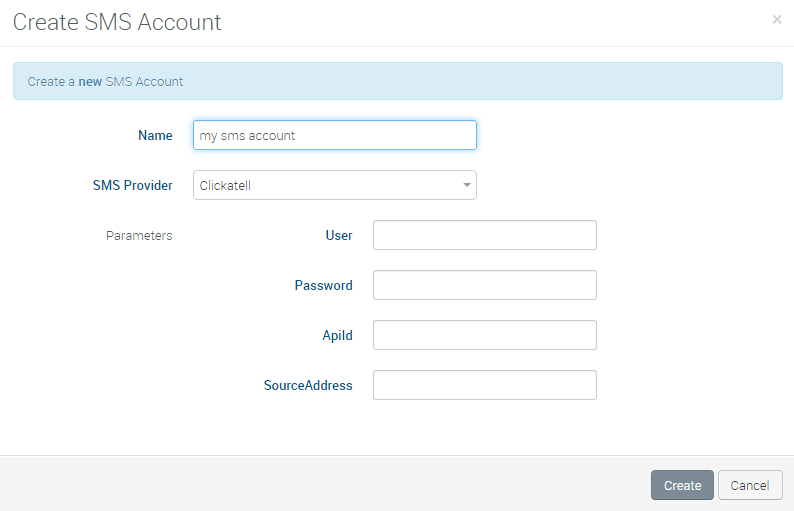 This topic explains how to configure AirVantage to send SMS with Clickatell. 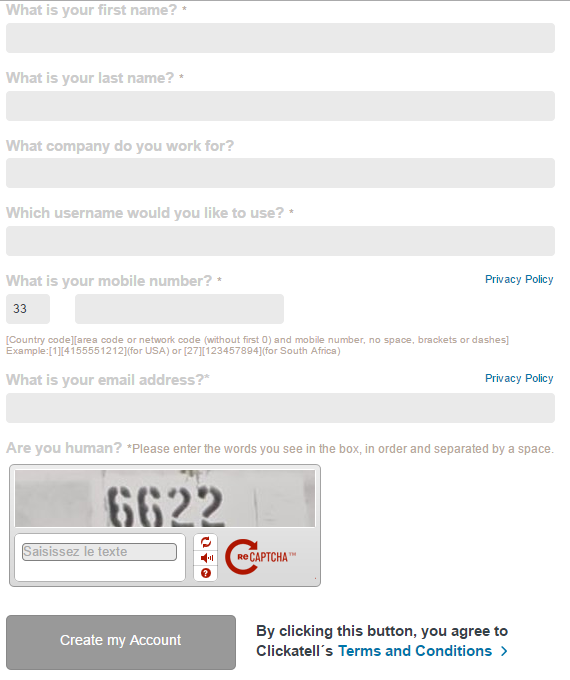 To open an account Clickatell requires your name, company, a username, mobile number, and email and company name. Then complete the “real human” test. 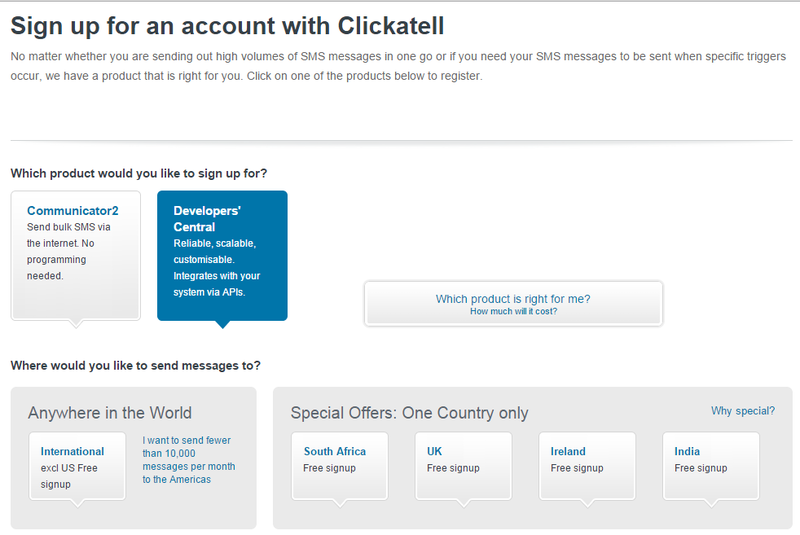 Once you are registered, Clickatell will send you an email with your credentials. 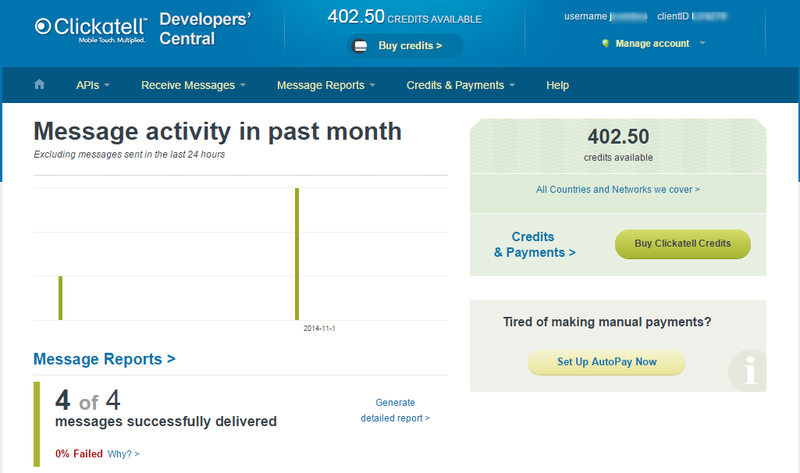 An API client has been created automatically. Before you purchase some credits and start configuring this account in AirVantage we recommend you use the trial credits to verify that you can reach your SIM cards from the Clickatell gateway. You can only use your trial credits to send a test SMS; you can’t send a working Wake Up SMS from AirVantage as Clickatell adds a trial message header to the beginning of the SMS we send. We also recommend you to apply for a long number you can use as Source Address, as it facilitates the transport of the SMS between Clickatell and the network that your SIM card uses. 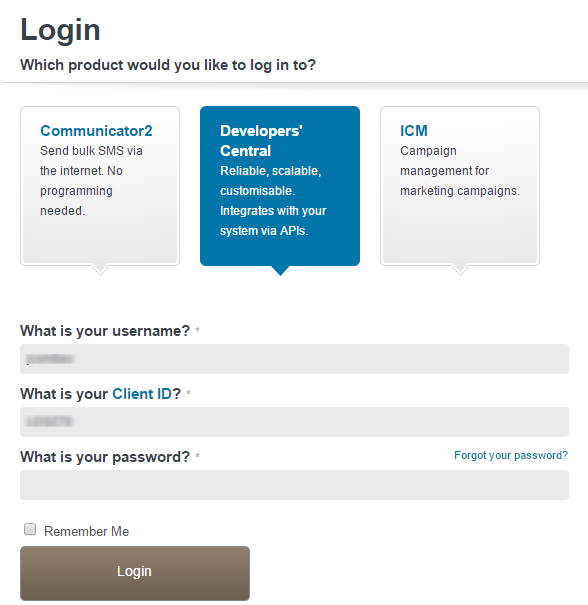 Once the account is created with some credits, you can configure AirVantage with the username, password and API ID provided by Clickatell.